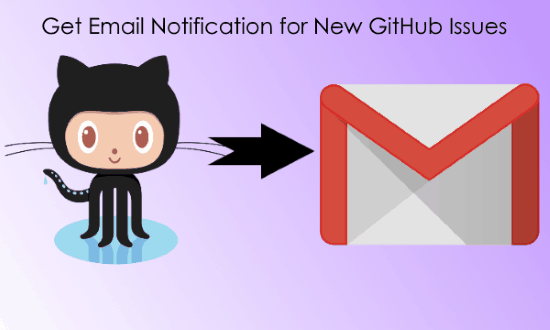 This tutorial will show you how to get email notification for New GitHub issues in your repository. You can now easily get notified of all the new issues created in any of your own GitHub repositories as well as the repositories on which you collaborate. You can do this by making an applet on IFTTT. In the applet, you can connect GitHub and any email service (like Gmail), and then get an email notification automatically when a new issue is created. You would actually need to create a trigger for GitHub (like if any issue is created on a repository you own or collaborate) and the action (send an email to yourself) in response to the trigger. You can also choose what you want to allow in the email notifications like email body, email subject, etc. The applet can run automatically for unlimited times once you create and activate it. First, go to the IFTTT homepage and create a new account or login to your existing account. After that, you can go ahead and start creating the applet by clicking on the “New Applet” button under the “My Applets” tab. When you do that, you can proceed with the trigger part of the applet. For that, click on “This” button and then select GitHub for the trigger service. 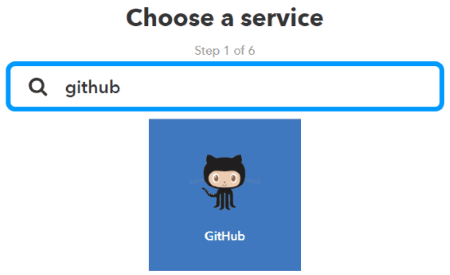 Then connect your GitHub account by signing in. After that, it will show you all the available triggers for GitHub like Any New Issue, Any New Closed Issue, New Issue Assigned to You, etc. Now, to get email notification for new issue created in a repository you own or collaborate, you need to choose the “Any New Issue” as the trigger. When you have selected the trigger, simply select the “That” part of the IFTTT applet. 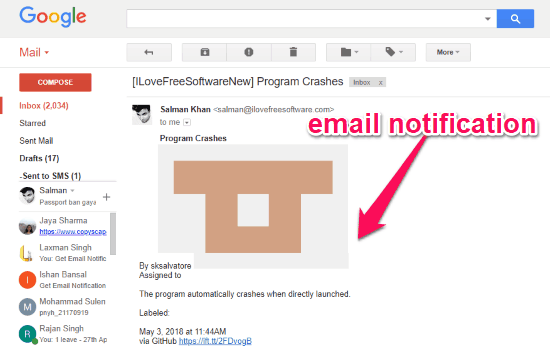 I will use Gmail in this tutorial for getting email notifications. 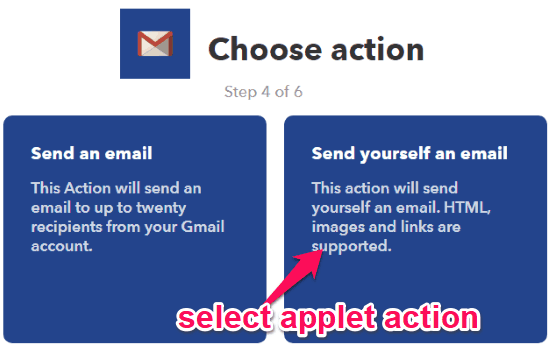 So go ahead and select “Gmail” as the applet action service. To do that, you can simply search for it in the list of supported services. 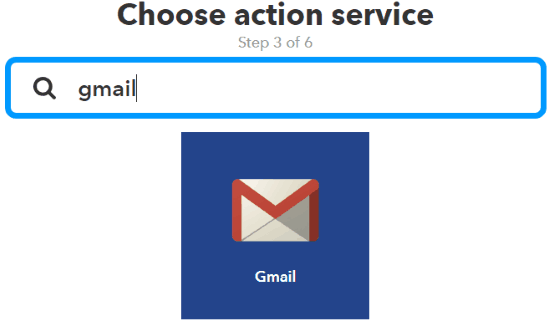 After that, sign in to your Gmail account to connect it to IFTTT. Then it will open up all the available triggers associated with Gmail including Send an Email, Send Yourself an Email, and Create a Draft. 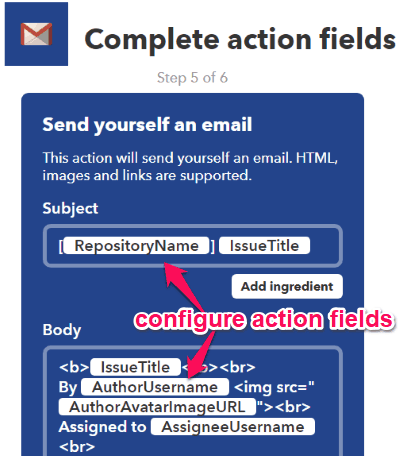 Now, select “Send Yourself an Email” as the applet action in response to the GitHub trigger. Now, you have to configure the most important part of the applet. It will actually ask you to configure various action fields including the subject of the email notification, email body, etc. Once done, simply save and activate the applet. 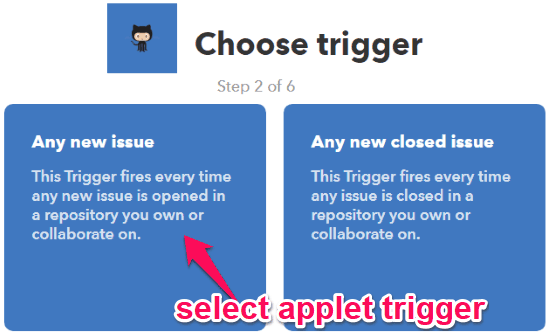 That’s it, the applet will automatically run whenever a new issue is created in the GitHub repository you own or on which you are a collaborator. After the applet runs, an email notification will be sent to you on Gmail with the name of the issue, created by username, assigned to username, the body description, etc. This is the simple method using which you can now easily get email notification for new GitHub issues created in your own repository or any of the repositories on which you collaborate. With IFTTT you can get notified of important issues on Gmail automatically. Just follow the steps above and the applet will be ready and running in no time.